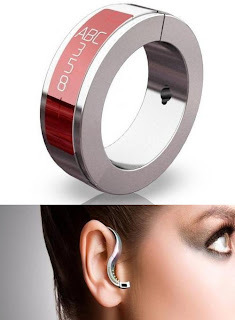 You wonder why no one has thought of making a bluetooth set for women (and confident men) that is actually an earring. Then you really wouldn't have to take it off at all. And you can't say that it would be too cumbersome -- anyone who wears earrings has to own at least one shoulder-length gigantic showy pair.